If you have a family then you’ll be well aware that holiday providers grossly inflate their prices over the six-week summer holiday period. And I’m not just talking about operators on package holidays – they're all at it – accommodation providers, airlines, cruise companies, attractions and even holiday add-on suppliers like airport car parking! Earlier this year, the Supreme Court ruled that parents can be prosecuted for taking their children out of school, without permission, for term-time holidays. Parents taking a child out of school without permission risk a £60 fine, which doubles to £120 if paid after 21 days. If the fine still isn't paid after 28 days, parents face prosecution and a fine of up to £2,500, or a maximum three-month jail sentence. As a family of four, with two kids in school (one at Junior school and the other at secondary) I’m penalised if I want to remove them during term time for a holiday and I’m also penalised when I stick to the rules to take them out for a summer getaway. Actually, I'm double penalised as VIP is a teacher so there's no way of sneaking off without getting caught! It’s a no-win situation and it really gets my goat. I recently read some information about a holiday company that was bucking the trend and offering REDUCED holiday prices for families throughout summer. This was music to my ears; it’s about bloody time someone took a stance on this. And then it got me thinking; if one holiday company can do it, I’m sure there were others out there looking to help, not hinder, families. And so I went in search of affordable family getaways that won’t break the bank to help other families in need of an affordable break; a change is a good as a rest as they say – and we all need a rest every now and then. And would you believe it, the more I searched the more it became apparent that holiday providers were feeling the love (and sympathy) for us parents with children. I was not only discovering that more providers were prepared to hold their summer prices at current rates, but that many have actually REDUCED prices to offer a sale! And I’m not talking about the ‘fake sales’ when companies increase their prices just before a sale, then offer the holiday ‘on sale’ which is back at the original price. Oh no. Some of them are offering real reductions and some fantastic savings. If it’s long-haul you’re craving then Jumeirah has launched a selection of great value deals – the ‘Jumeirah Flavours’ so families can visit Dubai without breaking the bank. From a beach break at Jumeirah Mina A’Salam or Dubai’s most family-friendly resort, Jumeirah Beach Hotel, to a city break at Jumeirah Emirates Towers, the Jumeirah Flavours ensures an enjoyable holiday for a very reasonable price. With flights to Europe rocketing over the summer period (especially compared to the cheap Dubai flights starting from £290), this package guarantees luxury and comfort without breaking the bank. It includes complimentary breakfast and a dine-around experience where guests can enjoy a complimentary lunch or dinner at one of the 60 participating restaurants dotted around Dubai. Families can also enjoy unlimited, complimentary access to Wild Wadi Waterpark and use of the hotel’s kids’ clubs. For just a fraction more, guests can also upgrade to one of the hotel’s club suites where they will have access to free non-alcoholic beverages (all day), as well as other privileges including access to the Premium lounges. This one is not just for the summer holidays, but applies to holidays at any time of the year. If you’re flying from Heathrow and planning on taking the Heathrow Express, make sure you book at least 90 days in advance to take advantage of tickets from £5.50 each way (at weekends) and £12.10 for weekdays, while kids aged 15 and under travel free on an everyday, permanent basis. This means that a family of four can now travel for as little as £11 when they book advance fares. This is great considering standard fares are £22 for a single per person and £36 return! Better still, the Heathrow Express offers free 4G Wi-Fi and at-seat power, meaning the holiday will kick off to a great start! According to Ranch Rider, now there could be even more reason to book your brood on a riding holiday, as a recent study has revealed that riding horses boosts memory, problem solving and learning in children. Ranch Rider offers a wide range of family friendly ranch holidays across North America and a selection of cattle farms, wilderness tented camps and luxury lodges in South Africa suited to those with kids in tow. As an example, for a week in Arizona’s Tucson, families are offered a £192 per person discount on the normal weekly rate at the Tanque Verde Resort Ranch. Pint size, John Wayne’s and Calamity Janes will have the opportunity to saddle up – those aged six and above heading off on trail rides and younger children riding in the arena. The ranch's supervised children’s programme runs year round and is open to kids aged from four to 12 years. Seven nights cost from £1,159 per person (based on two sharing) and from £1,155 (four to 17 years) including accommodation, meals, ranch activities (including riding), taxes, transfers and gratuities. 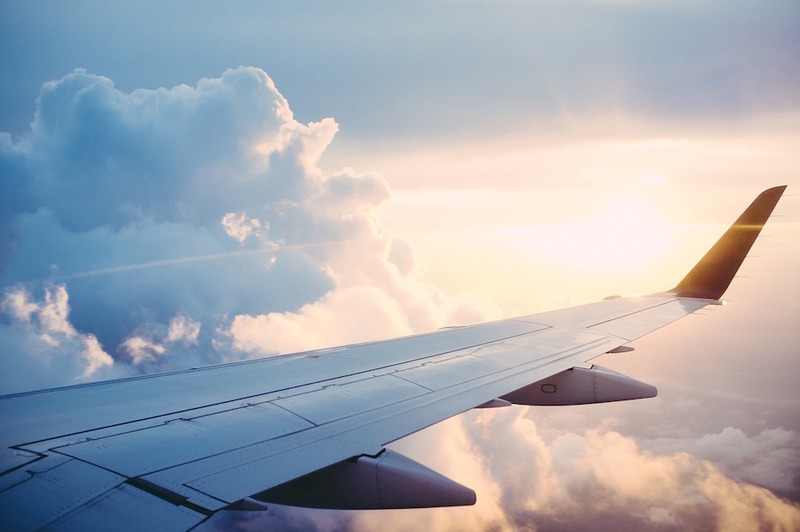 Return flights cost around £890 or £775 per person for those under 12 years – or the full price of £1,351 each. Virgin Limited Edition has hand-picked a selection of offers and adventures for families. Located in South Africa’s Sabi Sand Reserve, families visiting Ulusaba have the chance to spot lions, leopards, elephants and many more species on twice-daily game drives led by a team of rangers and trackers. The Cubs Club offers a range of activities for kids of all ages including treasure hunts and traditional arts and crafts. Plus – on selected dates throughout 2017 (including October half-term), up to two cubs (aged up to 15 years) stay for free when sharing a tent with one or more adults. 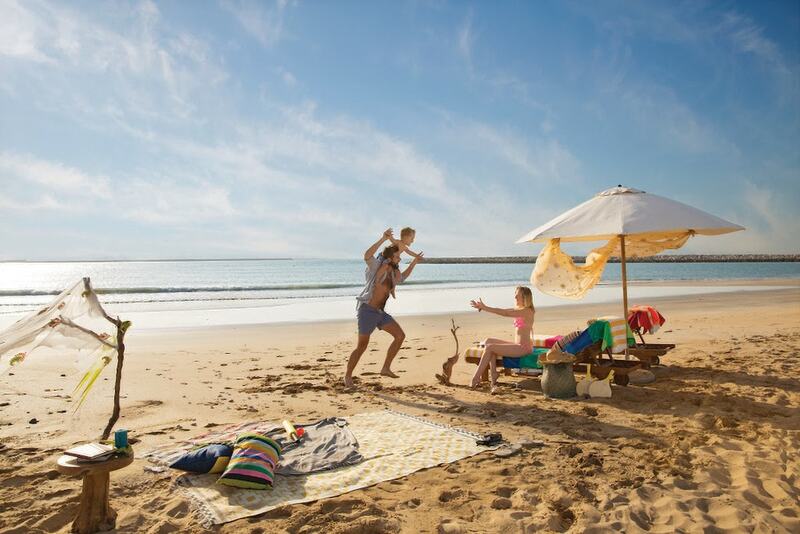 Another ‘kids stay free’ deal is backed by Ras Al Khaimah's Summer Campaign where a number of hoteliers in the emirate have signed up to offer free stays for kids under 12. The emirate, which is just a 45-minute drive from Dubai, offers pristine beaches, terracotta deserts, breathtaking mountains and a range of five-star hotels and resorts at four-star prices. In fact, prices on the whole are around 20%-30% cheaper for things like transport, accommodation, food etc…than in Dubai. And whether you’re young or young at heart, there’s plenty for families to do – from safaris and nature trails to water parks and go-karting! A total of nine separate holiday packages are provided by a range of tour operators including Brightsun Travel, British Airways, Value Added Travel, Letsgo2, Best at Travel, Kenwood Travel, Travel Bag, Destination 2 and The Holiday Place. As an example, save up to 50% when you book with Kenwood Travel on seven-night bed-and-breakfast breaks. The deal includes free kids places and complimentary airport transfers at the five-star DoubleTree by Hilton Resort & Spa Marjan Island, with flights leading in at £449 per adult and £349 per child. All offers are valid from now until the end of September. If you’re a family that enjoys exploring and visiting sights then perhaps consider staying in the Schladming resort in Austria where all hotels are offered on an all-inclusive basis exclusively for Thomson Lakes & Mountains customers. But that’s not all. Also included are a bunch of extras: a guided torchlight walk, entrance to the Dachstein Glacier Ice Palace, food tasting, traditional Austrian breakfast or snack in a mountain hut and a shopping discount. In addition to all of this, customers staying at the Hotel Ferienalm or Hotel Stadttor will also receive a Summer Card which gives them free use of all lifts and local public transport, as well as a free paragliding sampler course, access to the glacier hike and alpine trail and more. For the kids, the card offers free access to the kid’s adventure club: introduction to rock climbing, a free ‘Wild West’ day, mining, bread making, archery lessons and an adventure hike at no additional cost. 7. Go Greek during the peak! 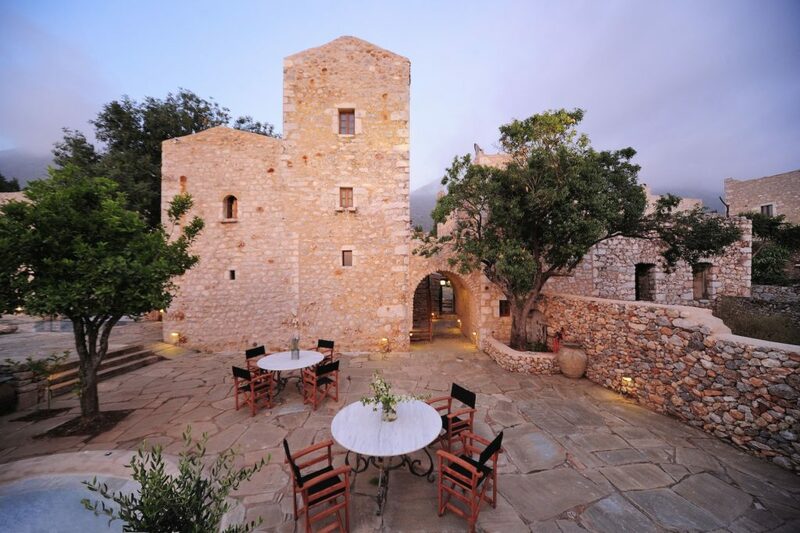 The Citta dei Nicliani in Greece, a secluded family-run hotel in the heart of the Mani Peninsula in the Peloponnese, is offering affordable deals on family breaks. A six-night, seven-day stay at Citta dei Nicliani from 17th July costs £480 per person based on two adults and two children sharing a family room on a bed-and-breakfast basis including flights to Athens with easyJet AND self-drive car hire. With only seven guest rooms, the hotel offers a very low-key and private experience. Set across two terraces and around an enclosed courtyard, the feel of the hotel is one of understated luxury and peaceful simplicity. Parents can rest easy knowing that their children are always nearby. What’s more, there’s plenty to do in the area – from cove-hopping on the Mani Coast and swimming in clear waters, to wandering along endless stretches of beach or discovering archaeological sites. A short break may be just the ticket if you’re short on time – and a staycation is the obvious choice here. Staffordshire is highlighting a range of great-value short-breaks offering everything from family fun to romantic getaways – with prices starting at £145 for a family of four. Visitors can combine a choice of attractions with a wide range of accommodation…all at a fraction of the price it would cost them to put together a similar holiday. It all adds up to savings of up to 65% through the ‘Staffordsheer Escapes’ website. As an example, from £145 a family of four can stay overnight and choose three fun filled visits to a range of family attractions and activities including Trentham Gardens, National Forest Adventure Farm and Conkers. Leicestershire is also doing something similar with it’s ‘Stay, Play, Explore’ family option which yours truly had the privilege of trying out. Camping and mobile home operator, Venue Holidays, is offering 10% discounts at selected campsites in France this peak season which means a family of two adults and up to four children can get away for seven nights from £618, saving £68. The price applies to week-long holidays from 5th August in a fully-equipped Espace tent at Camping Village le Fayolan at Clairvaux-les-Lacs in the picturesque Jura region. Facilities at the campsite, which has its own sandy lake beach, include a top-class swimming pool complex with indoor and outdoor pools with waterslides, chutes and a wellness centre, plus fishing, cycle hire, archery and guided walks. Ferry crossings can be arranged by Venue Holidays on request and cost from £123 for a return weekend P&O Dover/Calais saver crossing for car and passengers. If you’re after adventure, Family Adventure Holidays is offering a week’s stay in France from £440 for adults and £395 for kids including ALL meals and ALL activities. The Normandy Chateau Adventure promises non-stop family fun based at the 200-year-old Chateau de la Baudonniere, close to the coast near Avranches. The chateau’s 100-acre grounds – complete with forest, river and lake – provide the setting for an all-inclusive week of activities tailored to different age groups. They include circus skills, a mini-farm, aeroball, archery, fencing and canoeing. Families get together to enjoy a guided walk across the sands to the famous Mont St Michel, an assault course, sports tournament, and – new for 2017 – Giant Cluedo, an interactive version of the murder-mystery board game with clues hidden around the chateau and grounds. Also new are Zumba classes for the grown-ups and cycling trick sessions for children. The fun continues through the evening with games and a camp-fire night. The holiday is available from July 22 – September 2 and seven-night prices, based on two adults and two children sharing a family room in the chateau, start from £440 for adults and children aged 16-plus, and £395 for 6-15s. Children aged between two and five cost £155, with under-twos free. Woodland village accommodation is also available, with treehouses costing £520 per adult and £490 for 6-15s, and yurts costing £470 and £445 respectively. Prices include all meals and drinks (including wine, beer and cider) and all activities. Now all you have to do is think about getting there! Health and Fitness Travel is highlighting stays at Turkey’s D-Hotel Maris Family, with seven nights from £575 per person. The price includes half-board accommodation (breakfast and dinner), flights and transfers. The resort offers a wide selection of activities and entertainment for the whole family including watersports, kids’ clubs, tennis training and even teen spa treatments. 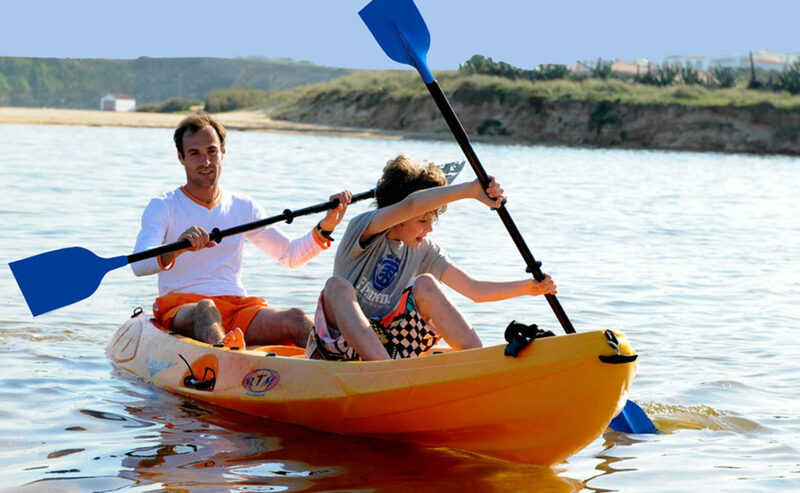 Alterntively, you can explore the area on mountain bike or try your hand at kayaking. If you’re super skint but still feel the need to get away this summer, then perhaps consider a home exchange. With companies like GuesttoGuest you can book your accommodation for free (there are 300,000 homes in 187 countries) offering a unique advantage to large families and single-parent households who might otherwise struggle to find suitable accommodation within their budget. It’s estimated that by opting for home exchange, certain households can save up to 30% of their holiday budget, a sizeable amount of money, which can be used instead on fun activities for all the family! What’s more, the service helps members match their profile and needs with other members such as families with young children, pet-owners etc so you can ensure that your particular needs will be met. Sugar Bay in Barbados is offering a flight credit up to £600 off bookings made in July for travel through to December. Combined with up to 15% off room rates and the current kids stay and play free Brilliant Barbados island wide campaign, the four-star beachfront resort is offering family value this summer. Families booking a suite at Sugar Bay will receive 15% off their rooms plus £600 off their flights. The resort offers a free kids club and crèche for infants and can be booked by most major UK tour operators. 14. Free flights to Denmark! Families seeking a cost effective mix of attractions, beaches and activities this summer can take advantage of a special offer from British Airways and holiday in Denmark. The airline is running a ‘Kids go free’ promotion where up to two children can fly free with one adult on flights between Heathrow and Billund until 31st October. With three UNESCO sights, the region is renowned for its natural diversity as well as an extensive choice of family-friendly attractions that make up the Legoland Billund Resort, including the original Legoland, the waterpark in Lalandia and GIVSKUD ZOO – to name just a few. So there you have it – seek and ye shall find as they say! 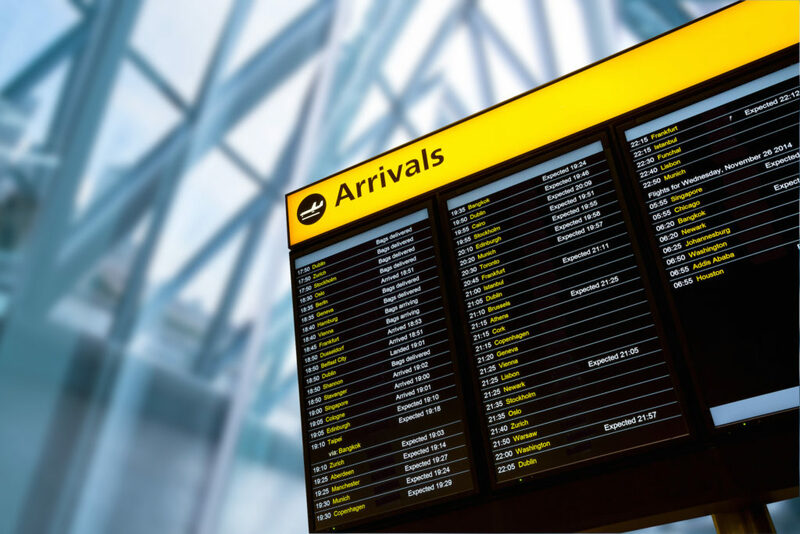 Despite common preconceptions, Cheapflights.co.uk, has revealed that the UK’s regional airports are giving London a run for its money when it comes to price. Flights to Las Vegas, for example, are, on average, £209 cheaper, at £675 return, from Belfast and £151 lower, at £733 return, from Manchester than from London (£885 return). Similarly, Hong Kong is cheapest to reach from Birmingham, where average return fares, at £534, are £74 lower than London’s average return fare of £609. Checking in at an airport lounge is a personal favourite of mine. Some of them offer day passes for less than £15 and you can fill your belly in the lounge before the flight. There are other advantages of course, namely free drinks, free mags, free Wi-Fi, guaranteed seating and peaceful surroundings. 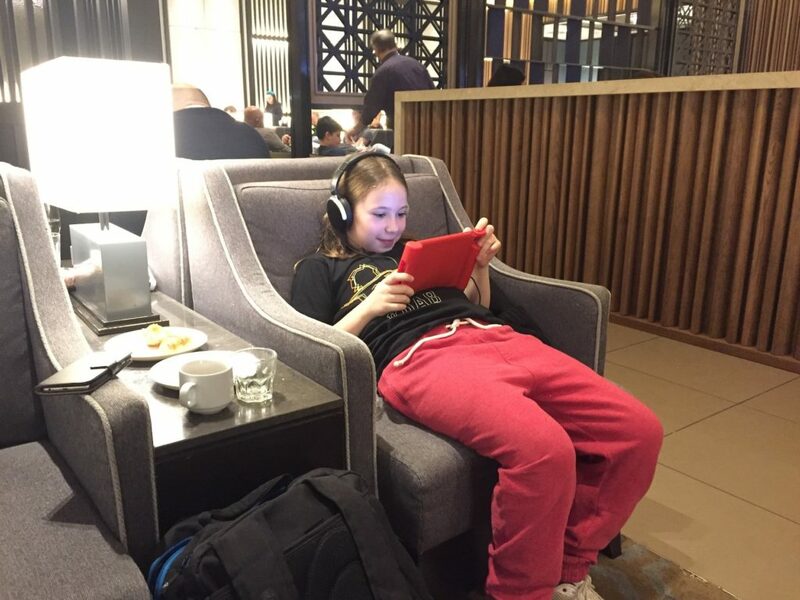 And what’s great is that most lounges allow kids in too! If your kids are a bit older and would cope with a longer journey, look at going the long way round to reach a destination. Sometimes, booking two separate legs of a journey is cheaper than going straight there on a non-stop, direct flight. Also, as a general rule of thumb, the later the flight, the better; flight fares are usually reduced after 6pm. Many people just look at an airline’s website and assume that booking direct with them s the cheapest option. But it sometimes pays to use small travel agents who can look at flight search sites to sell off holidays and flights that people have cancelled. Snaptrip.com says there are numerous tricks to try in cutting costs on summer holidays. They include trying a last-minute booking (no hotel or cottage owner wants empty rooms, so many will drop their rates as a certain date draws closer); Go self-catering and try cooking yourself up some local cuisine, saving money by shopping in local markets; and consider taking an extra day off work so that you can fly for less on a Friday or Monday. Check out more ways to save money on summer holidays. Are you planning on getting away this summer – and if so, how have you managed to save yourself some money? Such a shame you get penalised as a parent but these are some awesome tips! I think the kids go free deal is a great idea and something i always look out for as it saves. We have not been overseas in years. I would love to take my daughter on a holiday! Just shows Angela that there are deals out there to be had if you look hard enough! Hopefully you guys will get to plan an overseas getaway soon! It’s really not nice that you get penalized for your parenting decisions when it comes to vacations. I’m thankful to have gone to a school that wasn’t very lenient when it came to taking time off (PS it never negatively effected anyone, otherwise the admins wouldn’t let kids have so much time off). Thanks Charlotte – I’m hoping it helps some people avoid the sky-high prices! Couldn’t agree with you more Elinor. Thanks Rachel – that’s the idea…not to get stung by them! I would absolutely love to see an increase in more affordable holidays in school holiday times. We are a family of 5, soon to be 6, and it is ridiculous how much the prices increase from when the kids are in school to when term time ends. The more that families put pressure on these companies, the better! Thanks Carla! I am off for a short vacation next week. I can’t wait. Thanks for the tips. Wow that’s crazy about being fined and possibly imprisoned for taking your child on holiday. I haven’t got children of my own yet so I thought you would just need permission first and it was fine! Its about time holiday companies stopped penalising families over school holidays. Its so nice to know that there are companies offering affordable holidays for families in school holidays. Great list. A point well made Kara! The other thing I thought of was to have staggered summer holidays in different boroughs but I like your suggestion as it’s hard for those working full time to get time off.. Finally companies who are taking families into account and realising that pricing is out of holidays is unfair and surely bad for business. That’s right – thanks Lena. High five to all the companies who have our back! That’s very true – it pays to look around! Thanks Yaya. I was going to say we can’t afford to go away but there are obviously deals to be had! My first son has now finished school and the younger one has been home educated for several years. It certainly makes holidays less difficult to sort! Some great ideas here though. Rachel George, Ordinary Hopes recently posted…Fake it ’til you make it? Thanks very much Rachel – If I had the money I’d be travelling RTW and educating the kids at the same time! These are great deals! My daughter is in secondary school and it is so annoying seeing the prices sky rocket during the school holidays. I did used to risk the fine and take her out of school but now she’s started her GCSE years I don’t want to do that any more. Thanks Helen – yes, not worth risking taking her out during the important exam years…at least holiday companies are starting to help families!